GAA officials at Croke Park and in Cork have yet to comment on the collapse of attempts to resolve the row between the Rebels' senior squads and County Board. Negotiations involving Kieran Mulvey of the Labour Relations Commission and the new GAA Director-General Paraic Duffy ended without agreement on Wednesday. Representatives from the hurling and football panels rejected the final set of proposals which were put to them. The two parties are in dispute over the process of appointing selectors. Players are calling for county bosses to be allowed to pick their own selectors. 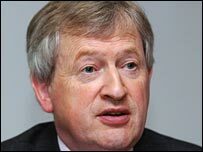 The dispute had escalated to the point that both the hurling and football panels were unwilling to play for the county unless football manager Teddy Holland quit his position. Holland accepted the Cork football job after previous boss Billy Morgan had refused to work under the county board's new managerial regulations. It now seems unlikely that Cork will play any part in the national leagues and the county's participation in the All-Ireland Championships must also be in doubt. The absence of the most successful county in the country from the GAA's premier competitions due to a players' strike would be a major blow to the association. Much effort has gone into finding a resolution to the dispute but all attempts have failed and, at least in the short term, those efforts are now likely to be put on hold.